Why do so many players love the old “soapbar” pickup? Probably because it’s the friendliest sounding single-coil ever. High notes are always fat, with just enough bite to cut through the mix. Low notes are bright, but not thin, and the tone stays even - all the way up the neck. Our version of this classic pickup also punches up the mids and tightens up the lows. 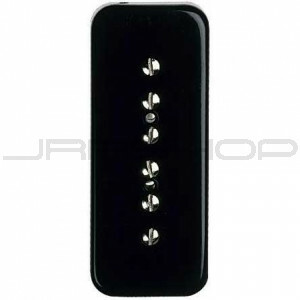 The DiMarzio Soapbar™ comes in “soapbar” and “dog-ear” versions. The cover is included.